Most bloggers have traded “PR fail” stories – the spectacularly off-target pitch, the “dear sir” email to a female blogger, the unsolicited sending of enormous files – but destination marketing organizations (DMOs) have their own set of “fail” stories when it comes to working with bloggers. When forming a DMO-blogger working partnership, it’s critical to make sure it’s a good fit in order to avoid those failures. Sometimes it’s easy to spot a yellow flag early – and sometimes it’s not. Here, one travel PR professional lists five reasons that he says “no” to blogger press trip requests – or that make him vow not to work with a blogger a second time. Working in Hawaii with great travel-based clients, we get a lot more request for assistance than we can accommodate. Nothing is more frustrating than receiving an inquiry for travel support one week or days prior to a writer/blogger arriving in the Aloha State. My team and I rarely ever say “No” to a writer and will always do what we can to help make that visit a productive one. However, bloggers need to realize that asking us to drop everything and magically put an itinerary together for you in a day is just unacceptable. Next. I understand bloggers have an agenda or a point of view in their writing or approach to covering our clients, however, please understand that there is another side to every story – and sometimes it’s more intriguing than the one you’re pursuing. I appreciate writers who have done their research before contacting me and provide a wishlist of things to experience, people to meet, etc. But please be open-minded to what I’m suggesting as well. Hawaii is a unique place (like many destinations) that’s more sophisticated than sun, sand, and surf. I’m here to help make that story more compelling, more relevant, or correct by putting writers in touch with better contacts, suggesting changes to the story angle to be more accurate, and try to evolve their understanding or perception of Hawaii. If it’s gonna be your way without any compromise or willingness to learn more about our side of the story, there’s the highway. My team and I gladly consider all reasonable requests for assistance and will try to assist everyone who contacts us, even if it’s just providing information. But once the request for help starts to get excessive or greedy, that’s an instant turnoff to wanting to work with a blogger no matter how good they are. Covering 100% of a blogger’s travel expenses never happens. Be reasonable with your requests and you’ll be amazed at how much more we’ll want to work with you. 4. You’re Bringing Who With You? We understand there are some cases where it’s necessary for a blogger to travel with a spouse, significant other, child, or friend – to take your photos, shoot video, provide another perspective for the story, etc., etc., etc. We’ve heard all the reasons. That’s fine, but what’s not fine is when the additional traveler (or travelers) starts to negatively influence a blogger’s commitment to the itinerary my team and I have labored over for weeks. The unexpected need to cancel the morning snorkel sail because your 3-year-old child didn’t have a good night’s rest and now you’re too exhausted to wake up really isn’t acceptable. Or backing out of an aerial adventure because the friend you’re traveling with doesn’t like helicopters. My team has worked hard with our industry partners to organize these experiences for you. When you stop showing up for things during a visit, there’s a pretty good chance we won’t be assisting you again unless the terms are different. You flaked out on scheduled activities and we didn’t find out until the provider contacted us. You were rude to our partners who are trying to go out of their way to assist you. You dropped our name for additional freebies and special assistance during your visit without us knowing. And my favorite of all, you failed to produce the content, stories, videos, etc. we agreed on at the conclusion of your visit. Follow that and the Golden Rule and we’ll be fine. Guest Author Bio: Nathan Kam has been immersed in public relations in Hawaii’s travel and tourism industry for more than 13 years and has worked on some of the state’s top leisure destination marketing campaigns. As a vice president at McNeil Wilson Communications (MWC) – a division of Anthology Marketing Group (AMG), Hawaii’s largest full-service integrated marketing company – he’s primarily responsible for managing the public relations activities for the Hawaii Visitors and Convention Bureau (the state’s marketing agency for North America), Big Island Visitors Bureau, and Hawaii Food & Wine Festival accounts. Nathan is also a lead strategist helping clients elevate their brand presence in traditional and new media channels. This article makes me sad that people would even consider acting in such a way. Hopefully it’ll open a few eyes! Thanks for putting this out there. Aloha Jeremy. Thanks for reading and agree that it is unfortunate folks out there still carry this attitude. But there are much more good bloggers out there than bad ones. It’s sad that those things have to be said! Sad but true. Mahalo for reading Sebastian! oh wow. you must have had some bad experiences with bloggers! hope there were some good ones too! thanks for these interesting insights to the “other side”. Aloha! This would have been a great comment in the actual text of the article, which combined with the lead-in makes it sounds like this sort of stuff is far more common that it apparently is, given your comment. A little balance in these discussions would go a long way to calming the waters down from their current state of semi-hysteria. Prior to becoming a blogger, I was a full time travel publicist and Nathan is exactly right – all of these issues came up on a daily basis, with bloggers and journalists alike. (Somehow 90% of writers are dating their photographer – how curious!) DMOs and PR folks certainly want to help, but it has to be a two-way street. Tell them what you can offer and be open to the many possibilities they can provide – but like Nathan said, the moment you get greedy or demanding, the party is over. There are just too many great, friendly writers out there to waste energy on divas! Great piece, Nathan! I am amazed that travel bloggers (and surely freelance writers as well) behave this way. Working with DMO’s is a privilege that enables us to learn about the heart of a destination. I’m sorry to learn that some abuse it. Aloha Donna. As I mentioned in an earlier reply, the good bloggers certainly outweigh the bad ones. But we all know how those bad eggs can negatively affect things for the rest. It’s a respect thing going both ways and from a destination standpoint, we also understand it’s a privilege to work with writers/bloggers interested in our state. I am deeply madly in love with this post — and I totally appreciate your candor, Nathan. It’s about acting like a professional and treating others, as you say, with respect. I am so embarrassed when I hear about greedy bloggers. Just say no to blogger entitlement! Your frankness is refreshing Nathan. It is unfortunate that there are people who would take advantage of such a great opportunity. Aloha Sandi. Thank you for your kind words and mahalo for reading. That’s disappointing. I totally recognise all those points. I’ve seen them being made many times by travel PRs over the past 30 years about traditional travel writers. I genuinely thought the new generation of bloggers would be better. Aloha Alastair! Thankfully we don’t have to deal with this situation on a daily basis…just once in a while. Aloha Mike. Thanks for reading and I’ll be the first to agree that it’s no rocket science being shared here. If folks just level their expectations and realize that we are dealing in good faith, this would be a non-factor. Yowzers. I’m just grateful when DMOs respond to my email — I can’t believe there are bloggers who have this misplaced sense of entitlement. Aloha Raymond and thanks for reading. My team and I make it a point to respond to every email we get. It’s the least we can do for someone who is genuinely interested in our clients. Its sad to see that this stuff happens, but there is such an entitlement when it comes to writing and in some cases bloggers. There is so much behind the scenes stuff that happens in the travel industry. We are all responsible in doing our own research. This is why its so important to remain professional in all facets of life. Great post, Nathan. As a travel writer and pr consultant, I wear both hats. I am always amazed at some of the things I see bloggers (and print media) ask for on press trips; i.e. ordering the most expensive items, and wine, on the menu with no intention of writing about the restaurant. P.S. McNeil Wilson Communications staff are top notch professionals and always make my life easy when I am in Hawaii on assignment. Aloha Nancy! Mahalo nui loa for the kind words about our agency. It’s all about clear communications and setting the expectation from the start. If a PR person is asking for demographics about your blog, please give them. Size doesn’t necessarily matter in this arena, but making excuses or simply not wanting to provide that info doesn’t help either. You can travel with other people???? LOL! Well, everyone except you Gary! 😉 I wonder if we in Hawaii get a higher percentage of requests to being a spouse/family member/friend because we’re Hawaii? I would imagine so to a certain degree. As both a blogger and a writer for a traditional magazine (and in a former life a destination publicist), I have seen my share of these folks, from the blog world, the freelance world, and even the print staff world. Also, you know you’re in trouble when a writer says, “I”m on vacation.” Can’t even tell you how many times I’ve heard that. In my former life as a full time lawyer, if I called a meeting and someone showed up with no way of taking notes, that was a giant red flag. I can’t even imagine a journalist (print or digital) dreaming of showing up to work without some way of writing down/recording facts and impressions — not to mention a way to take photos. Couldn’t agree more…hate when that happens too! You are one of the “good ones,” my Pineapple Princess! Aloha Heidi…thank you for reading. Hear, hear! I suspect “top shelf” destinations like Hawaii bring out the most audacious demands. My colleagues in other areas of the country can hardly believe the stories I tell from my past life in the hotel industry in Hawaii. That said, McNeil Wilson, HVCB and the island chapters always did an exceptional job of matching partners and bloggers – y’all absorbed a lot of the headaches up front, ultimately benefiting the bloggers, suppliers and the destination. Aloha Amber. You hit the nail on the head and thank you for the kind words. As you know it’s a team effort here in the Hawaiian Islands. We’re out to protect each other first and foremost. Hope all is well! Mahalo! Thank you so much for sharing this wonderful post. It is great to see the other side of the coin. I can not imagine not turning in a blog post or reviewing an attraction during a trip. We love the islands and I hope that your experience with bloggers are far more positive than these instances. Aloha Tammilee…mahalo for reading. Hope to find you in the Hawaiian Islands soon. We spent 19 days on the islands in December. We visited Maui for a few days and then Kona. Love spending as much time as we possible can on the islands. We are looking at our calendar now trying to figure out when we can get back to the islands. Thanks for this list, Nathan. It’s very enlightening to hear the DMO perspective. I imagine you must get a ton of inquiries and it’s great that you’re eager to work with bloggers and connect with folks through TBEX. I think the more we talk about issues like this, the more those responsible for the “fail” stories on both sides are likely to reconsider their approach. Aloha Scott…mahalo for the kinds words. We really enjoy working with the blogger/social media community here in the Hawaiian Islands. Every now and then, we run into these situations, but agree that putting it on the table and talking about will hopefully lead to clearer expectations and better experiences all around. That Golden Rule, it’s an oldie, but a goodie! Even when you’re new to travel blogging, and trying to figure out what’s expected, common curtesy should provide plenty of guidance. Nathan, thanks for bringing clarity to what can often be a murky relationship! Mahalo Sandra. Hope all is well in the big city! I am sorry you had bad experiences with bloggers. I personally, prefer to put into writing what the host can expect from me pre and post trip so we are both on the same page. I usually undersell and do “more” than they ask for in the end which builds good will. Honesty is the best policy ahead of time to avoid any conflicts. If you don’t like bungie jumping, then don’t agree to it just because you see it’s part of the package. Negotiate before you are on the trip and then stick to the plan. I also like to leave room in my schedule in case something cool pops up at the last minute. Karma in travel happens a lot, so it’s best practices for both parties to put into writing their commitments and follow through on both ends. Professional bloggers will be “out” if they don’t keep their word, just as tour companies or hotels will be out for a rude awakening if they don’t put their best feet forward too. Together we owe the public honest opinions, full disclosure and our very best efforts to take the job seriously. I always do! Hi Pricilla…I completely agree. We require anyone asking for assistance to complete a questionnaire and based on that reply on our ability to assist. It’s a very intimate process from the start to ensure we’re maximizing a bloggers time and experience while in Hawaii. Some get that, some don’t. We’re not trying to be dictators or bullies, just looking out for their best interest knowing the lay of the land here. Very interesting to hear the things you guys put up with. Some of them are quite shocking. You guys do have an amazing place that everyone in the world probably wants to visit, so I guess it brings out all kinds. Thank you for your article. I appreciated the timely reminders about what should be common courtesy for us all. Mahalo! Aloha Claudia. Thanks for reading. There are blogtrips that you have to pay to go there, but this could be refunded depending on post-blogtrip results. A little bit of respect goes a long way. Sooner or later, those bloggers will realize that they can’t act inconsiderately and continue to have success in the field. I’m glad that your positive experiences outweigh the negative ones and this is a good reminder for us all. Cheers! Really interesting post! We’ve not worked with a DMO before so good to get this perspective. When we’ve worked with specific companies on trips, we always deliver more than is agreed – mainly because there is normally so much more content than you could have anticipated. Thanks for sharing. Aloha Barry, thanks for reading and your approach is a wise one. Safe travels. Mahalo for a fantastic guest post Nathan! You just summarized several of the complaints we heard from DMO’s while at ITB last month. Mahalo Rick. Glad to contribute when I can. Love this! I have heard some winning horror stories about working with bloggers and traditional media alike in the travel industry. Like you said, it’s too bad there are a few bad/demanding ones that ruin it for the rest of the good ones. Most of the people I work with on both sides of the fence have been great, but — boy! — the one or two times I’ve seen the things happen that you listed, I’m mortified. Especially when one person might do more than one thing on that list! It’s also awkward for those of us on a press trip when someone drags their kids or spouse along and then doesn’t fully participate in the trip, or acts in a terribly ungracious manner. Their unprofessional behavior reflects poorly on all of us. Aloha Amy…that it certainly does. We’re open to the idea of guests in certain situations, but not at the expense of a press group or individual bloggers experience. We’ve had our fair share of guests joining in that didn’t want to do this or do that. Not good. Thanks for this Nathan. It was nice meeting you in Vancouver a couple of years ago. Sorry we never had a chance to work together but hope we will have the opportunity in the future. Really appreciate the tips on this. I think many of these are common sense. However, you go into a few more details that are very helpful. I admit that I’ve sent stuff in a week ahead of time. I realized I was late in asking and totally understood if I couldn’t be helped. In those situations, I was asking for planning assistance (not anything free) so any help at all was appreciated. As for 2 through 5, something I haven’t done and would never consider doing on any of those. I hope as bloggers, we have some integrity with what we do. To me, it comes down to commitment and keeping your word. If you are going to approach someone about a trip, you need to committed to it as much as the DMO. Aloha Jeremy. Great to reconnect and appreciate your comments. Hope to see you in the islands one of these days. In my 16 years of writing about Hawaii I have been honored to have been invited on many media trips. I think I have become pretty good at sizing up the other writers/bloggers on each trip and guessing the ones that are just in it for the trip. (They are usually the ones who make the most lavish demands!) I can often guess that they will write little to nothing. The PR folks in Hawaii spend thousands and thousands of dollars to bring each writer to the islands and it is a disgrace when the writer does not keep up his or her end of the bargain. I’m lucky in that I write exclusively about Hawaii and I get 10-15 ideas for future articles from each trip plus thousands of photos, which I take myself. It is an embarrassment when a blogger/writer can’t even write one thing. I make it a point to tell my fellow writers that they need to produce or they will never be invited back to Hawaii on a media trip. The Hawaii PR folks are a close-knit PR family and they talk to each other. Do not screw up what could easily become your only invitation to paradise. Aloha John. Spoken like a true veteran of the islands. You bring up a good point that the “coconut wireless” is quick here and word does travel fast amongst the colleagues. A hui hou! John is one of our favorites…a veteran and seasoned pro…always very appreciative of our efforts and best of all, “low maintenance.” LOL. Love him! I agree with all of your comments Nate. Thanks for speaking up. Fortunately, we have not experienced much of this on Maui…our social media travel influencers have been very gracious, appreciative and hard working. The good peeps definitely outweigh the bad by a far margin. We find they often produced more than was promised, which we truly appreciate. And in my book, the McNeil Wilson PR ʻOhana is nō ka ʻoi. Your team rocks and we appreciate your leadership and support. I mua Hawaiʻi! I maintain my own black list after 20 years as a freelancer and on staff. If a BL person is on a press trip I don’t go. DMO’s and PR folks need to have the guts to send someone home when they drink 6 martinis at dinner or demand to change their room in the hotel 4 times or need a personal assistant (CVB person) to help them on and off the bus or walk up the stairs. Writers that can’t afford more than a T shirt and blue jeans plus flipflops for a weeks trip obviously aren’t making any money in the field. My partner/photographer has his own credentials as they all should. It’s amazing to me how naive a lot of responses were to your very excellent post on this problem. This is a popular topic during blogging conferences, and I have hosted a twitter party that was all about helping bloggers work better with PR/Brands, the bad behavior goes on unfortunately on BOTH sides. Not everyone approaches their work/craft with the same level of professional integrity! Aloha Tracy. Good on you for hosting those parties. The more everyone can be aware, the better things will be for everyone. I’ve been in PR with CANADA’s tourism industry for years and I don’t have too many complaints about writers and producers, bloggers I’ve worked with, especially those who belong to professional media associations. These associations each have a code of ethics that members must follow. I think these organizations play a strong role in maintaining professionalism in the field. It’s frustrating as a writer/blogger to hear about this stuff because it reflects badly on all of us. As to the traveling with others point, we’d are a family travel/review site which means we pretty much always do our review traveling as a family. Fortunately our children are more travel savvy than many grown ups I’ve encountered! Exception to the rule I guess and all of our destinations are well aware our family will be accompanying us. Aloha Amanda. Mahalo for reading and agree. As long as expectation is set from the start, no worries. Good post, Nathan. Even though I belong to the other side, I agree with you. You are so right. I have seen similar examples. People should understand the other party’s interest as well. I think DMOs should send the person back if s/he goes beyond a limit. Oh yeah, women bringing their photographer partners is so common. Aloha Nisha. Mahalo for reading and appreciate your feedback. Happy Aloha Friday! Aloha, Nathan. It is very nteresting to view the process from the other side. I worked with Nathan and Emele Freiberg at McNeil Wilson who provided tips on and access to sites to visit in Hawaii (we provided our own accomodation). They and their colleagues in each island’s tourism office were extremely helpful and flexible to adapt to our travel plans. They made the experience possible in the first place and far richer than it would have been if we had done it on our own. We were on an extended tour through Southeast Asia and although the editors for two publications ended up choosing a story from Malaysia for two articles, we did write four stories about Kauai and one about Honolulu in two of our blogs. Even greater coverage was provided thanks to super blogger Melvin at TravelDudes.org who has an extensive following. Each of our stories was rebroadcast on TravelDudes and then retweeted many, many times by the TravelDudes followers to their legions of followers. My point is that blogging, in some cases, can reach a far greater audience than traditional media. 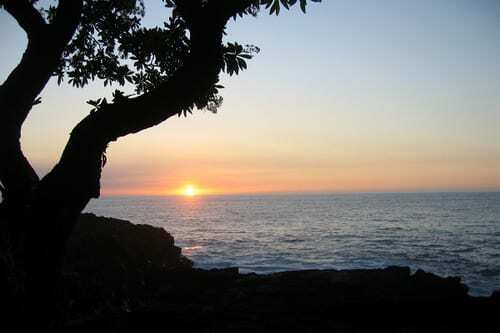 And it allows us to share the rich culture, lifestyle and nature of places like Hawaii with many more people. But without the help of DMOs and people like Nathan, we would be not be able to experience this in the first place. Mahalo! Aloha Dan. Mahalo for the kind words about working with our agency. We try to do our best to help all inbound travel writers/bloggers, even on short notice. The more time you give us, the more time we can give you. Hope to find you back in the islands one day soon. Aloha!! Aloha Jennifer. Thank you for reading and sharing your thoughts. This is an insightful piece for all writers and bloggers to read, whether they’re green or been at it for a few years, big numbers or small. There needs to be a clear understanding of 1.) managing expectations 2.) delivering (or over-delivering) 3.) being professional (and what that means) 4.) using the terms “travel writer” or “blogger” while in a destination means you have work hours and therefore, need to work. I appreciate hearing a DMOs input and experience, what works and what doesn’t work. I hope more DMOs will do their share of due diligence with a blogger so that they can save themselves time, money, and energy. I appreciate that the PR community in Hawaii shares information with one another. Thank you for your perspective. Aloha Tawanna, thank you for your comments and kind words. Very interesting to see the perspective of a DMO! As newbies in the magical world of travel blogging, we found this very helpful. Thanks Nathan!